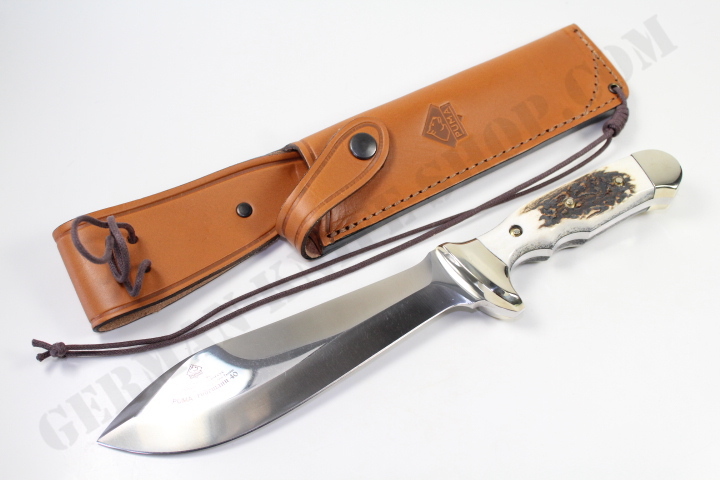 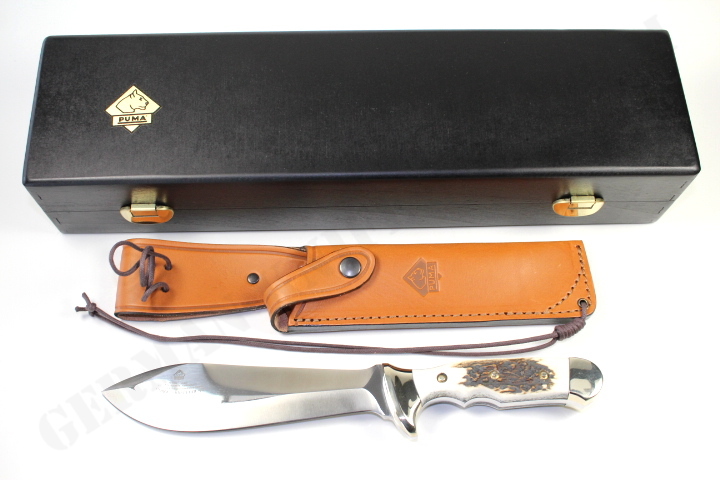 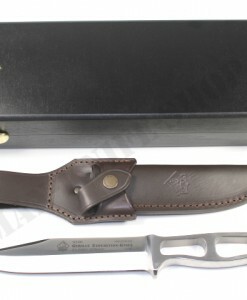 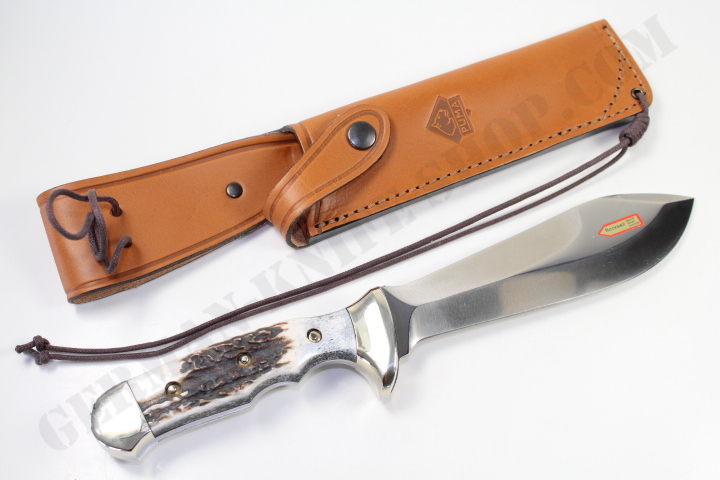 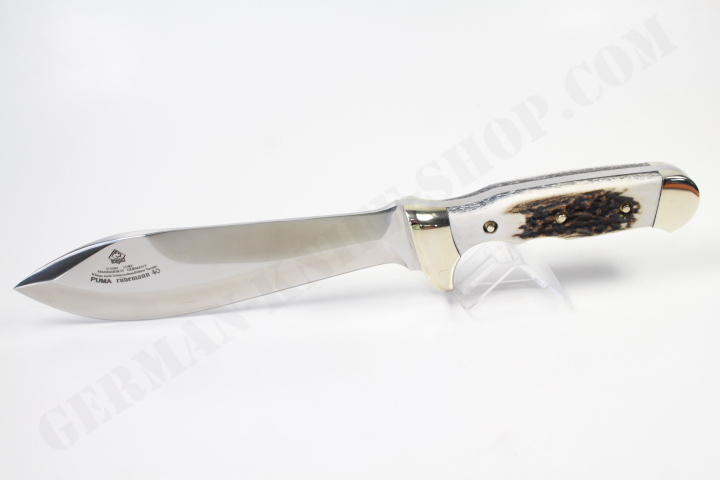 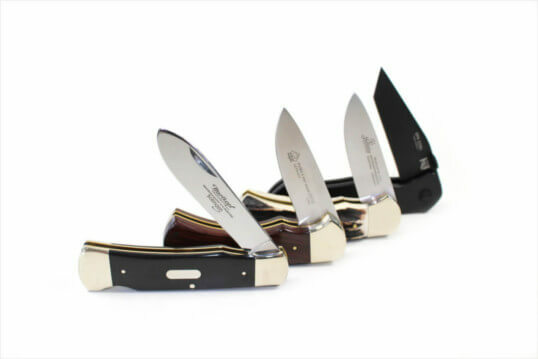 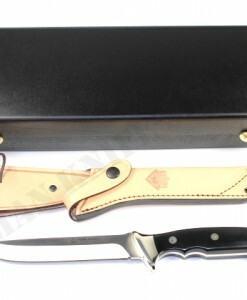 Here we offer a fantastic handmade German Puma collectors knife model “Ruedemann40” – Stag included certification and black wodden gift box. 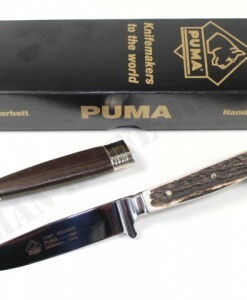 Revival of a classic puma hunting knife, useful to cut, stab and hack. 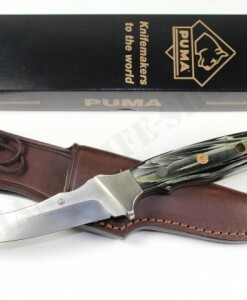 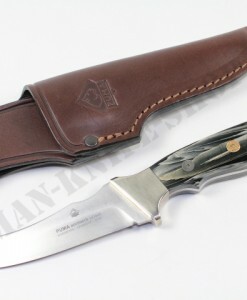 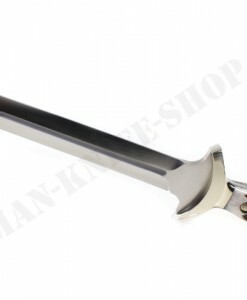 The special shape of the handle and blade makes this knife handy to kill a wounded animal. 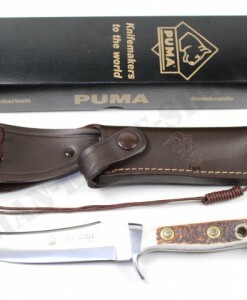 This is my very first Puma knife in my collection. 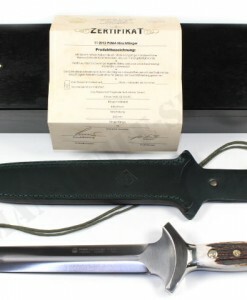 I was a little hesitant to own one because of the price but now, I’m glad that I did. 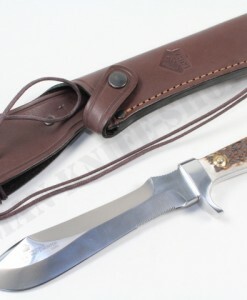 As always, I do some homework prior to purchasing any knife and as far as I know, from the way it is made, this knife could be ideal for hacking, batonning, killing a wounded game and quartering it afterwards. 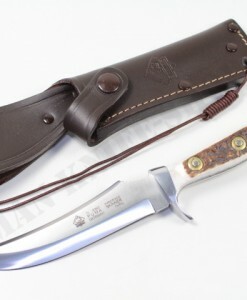 It is a bona fide Jagdmesser. 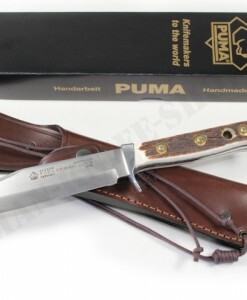 As I held it in my hand, I’ve noticed that for its size (the total length of the knife is only about 30cm) it is considerably chunky and heavy, and I’ve found out that it is heavier than the famous KA-BAR BK2 Campanion! 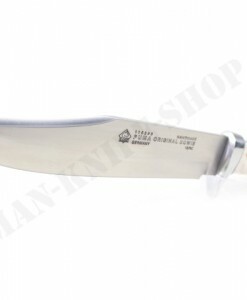 The full-tang blade made of 440A German steel is decently sharp and beefy (about 6mm thick) and it is designed to rule deep down in the woods. 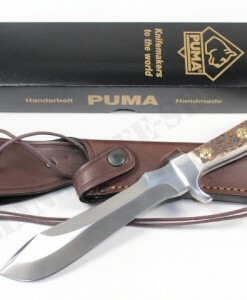 Thanks to GKS, I was able to have this beauty shipped directly from Germany and I cannot (and don’t want to)imagine how much I would have to pay if I were to buy this knife here in Japan where I live. 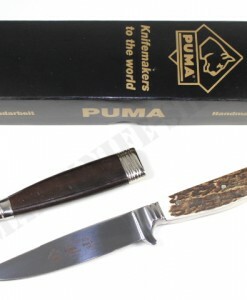 A knife with this quality will cost a fortune here. 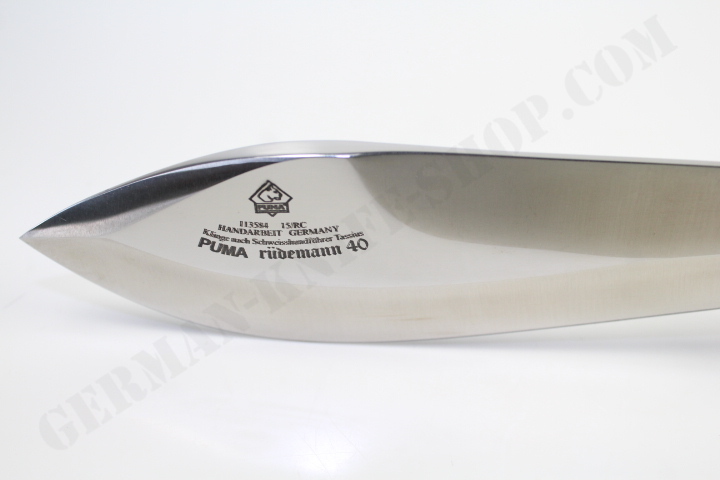 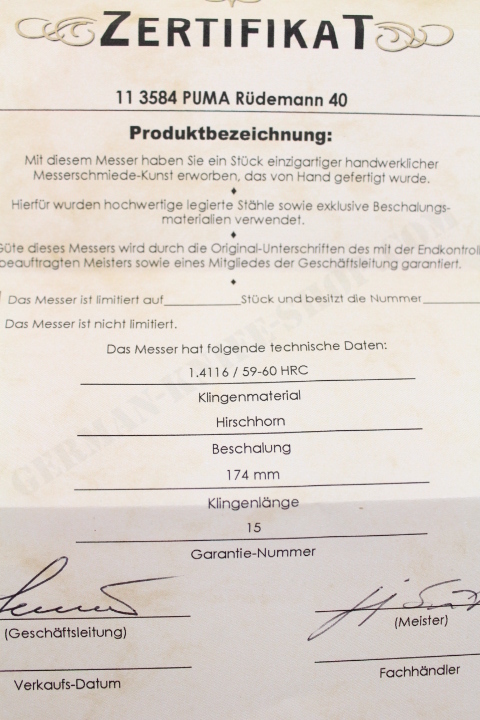 Since its conception in 1950s, Rüdemann has been known as one of 4 side arms for hunters (Puma Nimrod, Hirschfänger, Weidblatt and Rüdemann) and it’s been field-proven by numerous hunters and outdoorsmen. 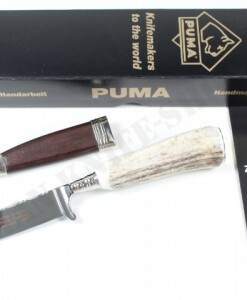 The knife handle made of genuine stag slabs gives this beauty a real classical profile and as a bonus, it comes in the black wooden box which adds more beauty to it. 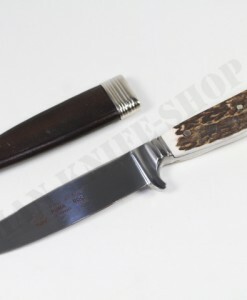 It is a beautiful knife to kill a game in the woods or just hold in your hand and look at. 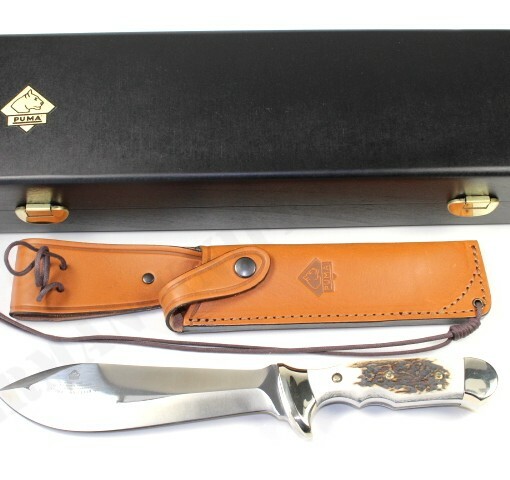 My second review of this Beauty, although it has not been so long since I purchased it. 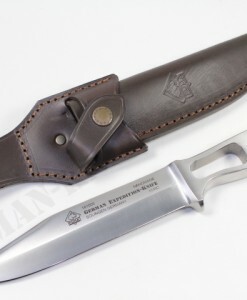 I showed off this blade to my friends and fellow knife enthusiasts one day and it made them jealous. 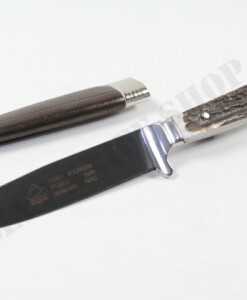 They commented that I might be the only person here in Japan with this knife and I must agree. 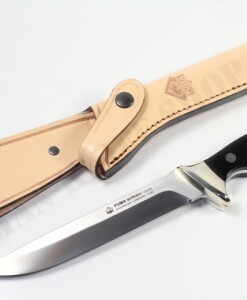 It is not yet available in our country. 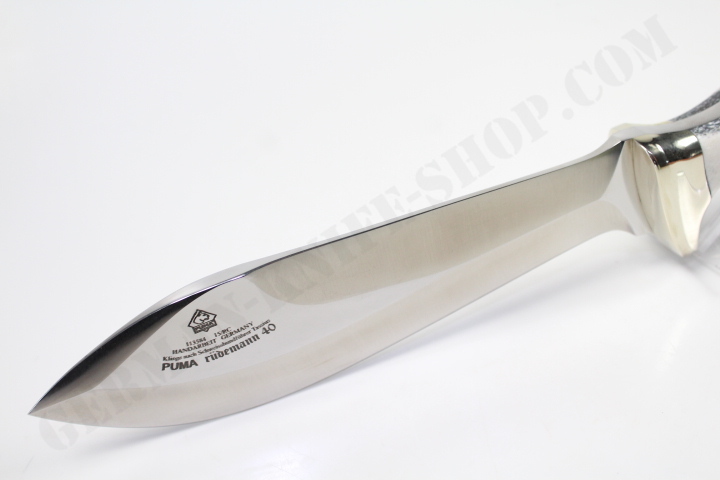 Because of its rarity, peculiar lunar shape and pale color, they nicknamed it “Mona”, an old English for “moon” and “pale” or “white” in Spanish. 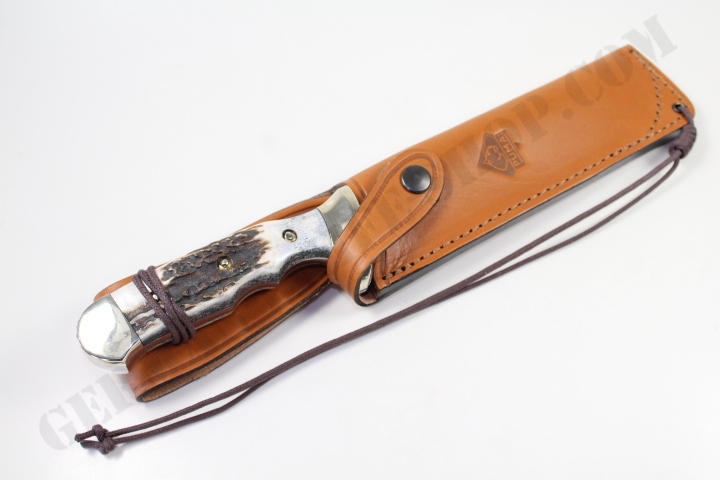 Because of its weight, heftiness and blade-heaviness, it could be used as a hatchet or machete, but, as designed, I would say it is best to be used as a hunting knife. 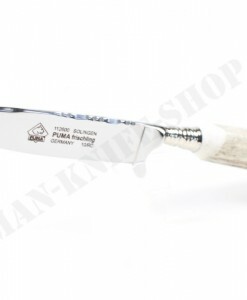 It is a very robust, heavy-duty knife so artistic and innovative in design, and rich in ergonomics and versatility.